Over the last few years I've collected the wide range of "interesting" names rpgs give to the person running the show. To celebrate the end of this awful year and close out with slightly edited filler, I present an updated list of these titles. GM’s my preferred term (because that’s what I do). On the other hand, to me a DM or Dungeon Master, is someone actually running Dungeons & Dragons. That's a matter of taste and experience I suppose (or I'm just plain wrong). For each I've listed just one example system, even when that name appears in several games (Storyteller, Narrator, Director). Additions in red. Many were suggested by my excellent colleagues on the original list at RPG Geek. Feel free to suggest any I may have missed!!! **If I were to run Weapons of the Gods, I would require that the players address me as the Wulin Sage at all times. Have a great New Year-- please, please, please be safe in this coming year. I ran twelve new games this year. That meant learning these well enough to manage at the table. How well I succeeded remains a matter of debate. I enjoy figuring out new games and calculating the minimum I need to know to not crash & burn. As with most of my rp work I’m trying to find the path of least work. Two of these games I ran as campaigns, a couple for conventions, but most are part of The Gauntlet Podcast’s TGIT Hangouts. For that I’ve focused on running two Thursday sessions of “new to me” games. I put priority on with a sample adventure and/or pre-gens. If I see something new & cool come out, I’ll try to get that to the virtual table (hence City of Mist and Coriolis on my list). I’ll be running this series in 2017, starting with Feng Shui 2e, Chill 3e, and 7th Sea 2e. I don’t think I’ll double the number of new games I run in the coming year, but I’m going to try. 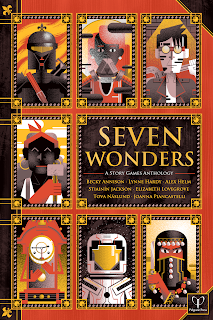 One of the Seven Wonders anthology games I reviewed earlier this year. It’s GM-less, so moderated more than GM’d it, but it counts. Since I planned to take it to Gen Con, I ran one session for my home group. That gave me perspective teaching it. I ended up running just a single session of it for Games on Demand. It’s a good game. I love the premise: a group gathered on the last night before the final battle, dealing with all of their fears and feelings. This goes in my one-shot collection. Tangent: Before the Storm uses playing cards and I had a Dragon Age pack that really fit the setting. Noir Mythic Superheroes Powered by the Apocalypse. I ran two sessions of this game while it was in Kickstarter. It had an excellent and complete quickstart packet. As a result I backed the project. I’m looking forward to seeing what the final release looks like. I wrote up my thoughts on the sessions here. We recorded two actual play videos (first and second). I talked about it on Episode 77 of the Gauntlet Podcast. Another Kickstarter I backed. I took the plunge for two reasons: my experience with their other game, Mutant Year Zero, and the evocative setting. Coriolis describes itself as “Arabian Nights” in space. While I am a little nervous about potential Orientalism, the production and material looks good. It feels like Fading Suns done with another cultural template (i.e. not high medieval Europe). I ran two sessions from their excellent quickstart packet. I talked about my experience on The Gauntlet Podcast Episode 81. I’ve also posted the AP videos (session one, session two). The final book’s apparently at the printer so I hope I get it in the next couple of months. My game and my first attempt to hack PbtA. In it grown-ups return to the secret fantasy world of their youths and find it changed. I tried to get closer to the simplicity of Worlds of Dungeons with this. I don’t think it worked, in part because we had a strong genre feel that I could have exploited. I made several mistakes: the first being how I structured the campaign. I’d do it differently next time. As for the mechanics, I needed more “build-your-own” move examples or handled it as I did with The Last Fleet. There players told me talents they wanted and I wrote those up. Despite all that I’m glad I ran it.I recorded the sessions and I’ve written a longer post about it. I talked about it on Episode 58 of The Gauntlet. One of the best surprises of the year. As with Godbound, I went in unsure and came out ordering a hard copy. Cryptomancer’s tag line- fantasy hacking- intrigued me, but I’d been burned before. Miraculously it delivered that and more. I ran two sessions which we recorded (first and second). You can see my full write-up and review here. 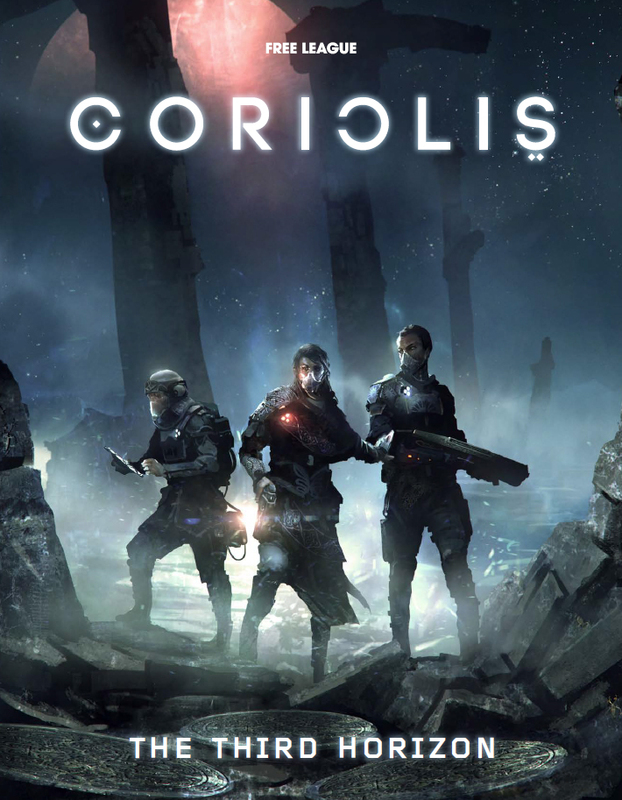 Long story short: if you’ve seen the game and had a spark of interest, it’s worth picking up. A post-apocalyptic PbtA game aimed different play level than most games. Players have a family (with moves) and a character (who has influence/control within that family). I ran three sessions, one for the character creation and two for play. There’s a lot to like here, but I’m not sure it holds together. We found it hard to shift between levels. I’ve thought about other approaches: starting much further away with the family level, but I’m not sure how to get to scenes between players. That’s where the fun is. 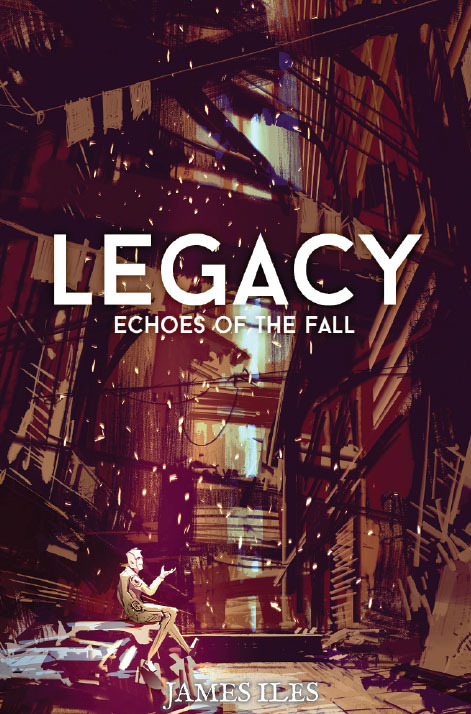 Still I think Legacy’s a neat game and worth checking out if you have an interest in new takes on PbtA or community-based games. You can see my write up on that here and the two AP videos here (session 1, session 2). We talked about it on Episode 72 of The Gauntlet. So good. Mid-year we wrapped a fantasy campaign using Action Cards we’d begun in early 2014. I put four new games before the group: Mutant: Year Zero, Genlab: Alpha, Urban Shadows, and The Sprawl. MYZ won, though the other three tied in points. I wasn’t sure how it would go. We moved from game of high competency to one of serious struggle and danger. The players took to it- especially the tools for developing their Ark community. We’ve just finished session seven and we have one more left in the year. I’m enjoying it and the group seems to dig it as well. I like how the metaplot is rolling out and the society has evolved. We've talked about it a couple of times on The Gauntlet. I switched over to M&M 3e from M&M 2e. I really liked 2nd edition, but I’d knew third had made interesting changes. It has, but I’m still not entirely sold on it. Or rather I feel like I struggle with the rules from time to time. Part of it comes from the crazily complex system of conditions, each with different mechanics and names. I like to keep things moving, so tracking conditions’ effects and recovery bugs me. Don’t get me wrong, 2e had lots of conditions. But this version uses those as the key building blocks so they’re everywhere. On the plus side M&M 3e moved to universalizing result checks and modifiers. That simplifies but butts up against the conditions. M&M 3e also shifts to a completely effects defined system (ala Champions). Previously we had a mix of effects and pre-built powers. It was messy, but made pick up and play easier. Finally in retrospect I wish I’d had players tell me what they wanted and built the characters myself. Yet despite my uncertainties with the system, I’m digging the campaign. We used tools from Microscope and Masks to develop the world and the characters. That’s helped deepen things. I’ve only run one session of this OSR-style Lovecratfian investigation game. It has a simple system, the same one powering many of Kevin Crawford’s other releases (like the amazing Godbound). Because I dug the one-page Luchadores frame at the back I’m running that. 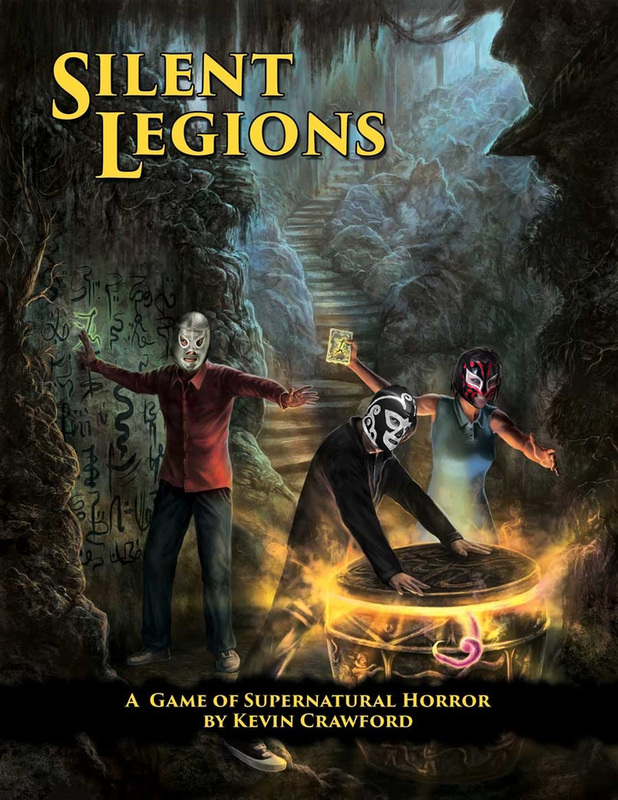 But Silent Legions isn’t just a CoC-style investigation game. Instead it’s a toolbox for creating your own Mythos -- elder gods, aliens, cults, relics, tomes-- and using them in a sandbox horror game. It isn’t a Cthulhu game, instead it gives you amazing random generators to build something that feels like one. That means players will always be uncertain about what they’re facing. They have to learn the mythos themselves. Crawford smartly gives examples and walk-throughs for using the many table sets in his book. I’ve seen other collections of tables skip this. The examples help and pull everything together. Neat game worth buying for anyone doing horror. 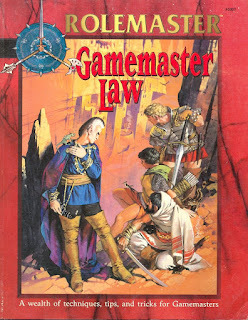 I ran several sessions of this- both at Gen Con and home. I like the “Stitchpunk” premise of toys in a strangely post-apocalyptic landscape. The demo pack’s light on the setting or digging into the implications, so I’m looking forward to the final project. I backed this on Kickstarter before I’d even read the rules. It has a neat starting scenario (“Furry Road”) that made each session distinct. I will probably run this again. I’d played a couple of WiP sessions in a short-lived online campaign. We had a great GM and solid players, so that colored my memories. I wanted to run it since I’d finally GM’d some PbtA games and had my KS-backer hardcover sitting on the shelf. Worlds in Peril makes all powers abstract and a function of the fiction. That means a lot of wiggle room and discretion with their use. That’s combined with a broad set of moves and a condition system. Conditions track damage and can have additional effects- again depending on the GM’s discretion. It’s looser than City of Mist’s approach to that mechanic. I had a good time running WiP, but struggled. I’m not sure if that’s style, unfamiliarity with the mechanics, or my trad supers background interfering. 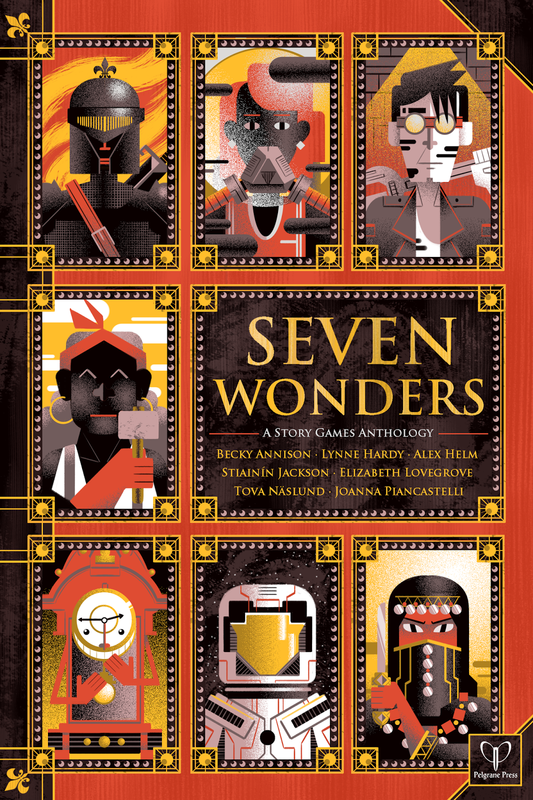 Regardless, if you’re looking to play “comic book” superheroes with PbtA this works. I talked about our games on Episode 79 of The Gauntlet and recorded the AP sessions for YouTube (first and second). MTV launched during my formative years. I watched more of it than any other TV channel. So I saw the “Rock-and-Wrestling” era begin with Cyndi Lauper and Hulk Hogan. And I hated it. That dislike stuck with me; I’ve avoided pro-wrestling. In the last few years my attitude has softened. Matt, from my M&M campaign, has contagious enthusiasm about wrestling. Plus many comic book blogs frequently went off on WWE PPV events and happenings. I picked up World Wide Wrestling on Rich Rogers’ recommendation and told Matt about it. He asked me to run it. I wasn’t sure, so I played in a session Nathan Paoletta ran at Origins. It hooked me immediately. Even eliminated in the first round, I had a great time with my character. I came back home and ran it online and f2f- digging every session. It’s my game of the year. I talk about that on The Gauntlet’s Best Games of 2016 episode. What Do I Want to Run in 2017? 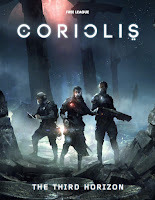 A longer Coriolis game when it arrives. Godbound either online or f2f. Urban Shadows for my f2f group. Dragon Age or Cryptomancer, not sure which. Tianxia for someone, maybe just as a couple of sessions. Tales From the Loop for Sherri. More 7th Sea than just the two-shot I have scheduled. If I could figure out how to do Wrath of the Autarch, I’d consider that. I’d like to try a streamline approach to NBA, Ashen Stars and/or Mutant City Blues. They’re all good options. What new games did you run? What new rpgs do you want to run in 2017? Since it looks like I won't get any boardgaming in until New Year's Eve, I'm posting my pick for the bg's I dug the most this year. They're not necessarily new or even new to me. But they're the ones I got the best experiences out of. I present these in no particular order. 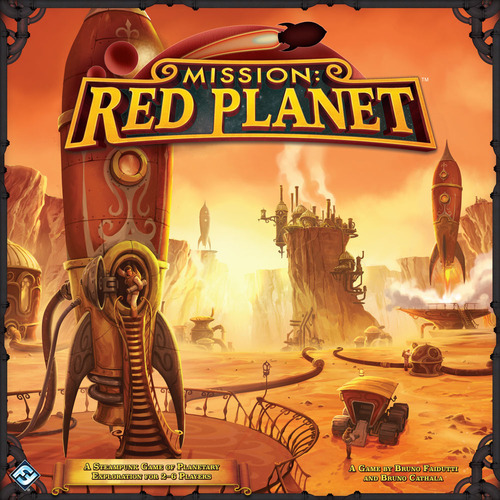 Mission: Red Planet: Steampunk Mars Colonization. This has been a surprisingly solid game. I thought it would be fun, but I didn’t realize how well it would scale to six players. At our game gatherings, six people presents the most difficulty. Do you split into two three-person games? A two and a four? Or does someone wait out while the others play? Our group isn’t as big on “social” games like The Resistance, so that cuts out the options. MRP uses a variation on the role selection with the countdown from Citadels. That’s combined with an area-control mechanism. It’s easy to grok and plays much faster than you’d expect. I’ll be taking this one to most of our gatherings. Libertalia: Pirate Booty Distribution. Like MRP, Libertalia works well with six, not as well, but it holds together. It has more text and some odd mechanics that pose a teaching hurdle. But if you have someone who knows the game and keeps things moving, it can click along. It uses role selection as well. All players get the same random set of cards from a range of thirty characters. They play most of these on a round, with the remaining ones carrying over. That means by the third round, each player likely has a unique mix of cards. I wish it had a few more treasure tokens, but overall Libertalia works. Kanban: Automotive Office Politics. Crazy complex and weirdly satisfying. I love how all the different mechanisms fit together. After a couple of plays, I’m still not sure what would be a good strategy. The game seems to end quickly, but we’ve gotten a chunk done by the time that hits. The board's one of the most complicated I’ve ever seen and the rules took multiple read-throughs. 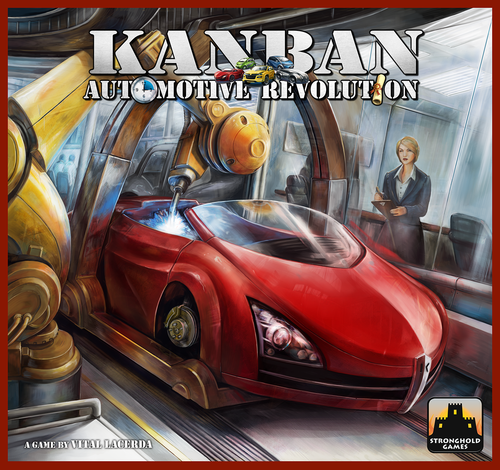 Not a game I’d recommend to anyone, but if the idea of being executives in a car manufacturer grabs you, watch a review. And I literally mean executives: you get job reviews and have to present your ideas at department meetings. Imperial Settlers: Chibi-cute Colonialism. This remains one of Sherri and I’s favorites. It’s not as much loved in our wider gaming group, but I keep taking it. I like the arc of the play and how each game feels different. I bought the Atlantis expansion but I still haven’t played with that. I also haven’t bought the 3 is a Magic Number expansion. Part of the problem is that more cards means you have to tune the decks. I’d rather have something I can play right out of the box. I could put everything in, but that dilutes any of the expansion mechanics (see Suburbia for an example of this). Still it’s the only boardgame I’ve blinged out. I splurged on the unique Meeples for it. 51st State: Post-Apocalyptic Faction Competition. Portal put out a pre-order special for this and I took the bait. I dug the old 51st State board game, but disliked the complexity and strange exceptions in the rules. This new edition makes it closer to Imperial Settlers (built on the same engine)- at least in terms of clarity. It cut out some of the corner-case mechanics. I like playing from one common deck- it removes some of the accusations of imbalance and forces everyone to work from the same astarting place. That being said, some of the faction boards seem stronger than others. Overall I think 51st State's a solid game and good reworking of the system. My friend Chris Charlwood disagrees. That’s too bad since he’s the person I play with most. In the end, if I had to pick one over the other, I’d choose Imperial Settlers. That could change if they support this game with some expansions. Marvel Legendary: Modular Superhero Battles. After the lunacy of last year’s Secret Wars Vol. I & II big-box expansions, Marvel Legendary took a more leisurely approach with two small expansions (Deadpool, Captain America) and one big (Secret Wars). I love this game, but I still haven’t had a chance to play with any of those new cards. Ugh. More disappointing because I finally broke down and bought a wooden artist’s box to put everything in. I actually played Legendary Big Trouble in Little China more than Marvel this year. That’s fun, but itis pretty much the same game (as opposed to legendary Encounters). Pandemic Legacy: You Lose. We’re still only halfway through this game. Why? Because it makes me super tense. I have to great my courage together before I can play another session. Roll for the Galaxy: Space Hyper-Yahtzee. I didn’t like this the first time I played. It took reading through the rules myself to finally get a handle on how it operates. RftG is simple and much, much faster than you’d expect. At heart it’s an abstract game, but there’s nothing wrong with that. Plus I love rolling all the different dice. On the one hand I’m surprised they haven’t released another expansion for it, on the other I don’t think it really needs more stuff. 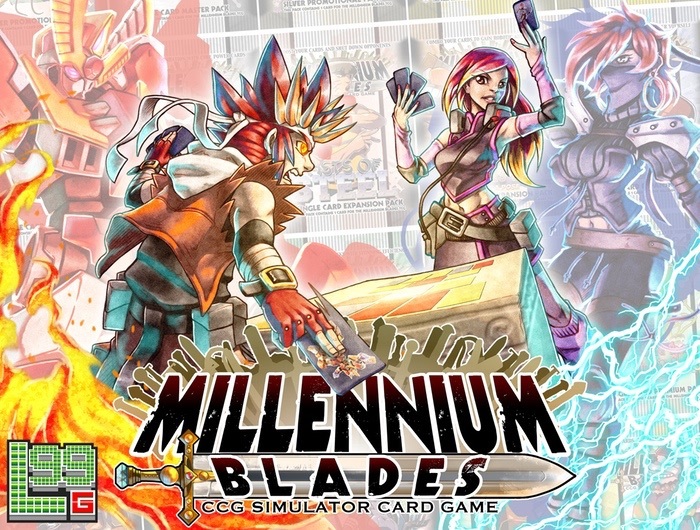 Millennium Blades: CCG Simulator. This game is crazy and awesome. 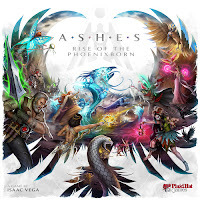 In it you play Collectible Card Game collectors and tournament players. I have to talk a little more at length about this one. Imagine a setting where a Yu-Gi-Oh-like card-game has become the world's most important sports event. That’s the premise. You’re playing competitors trying to buy booster packs, assemble a deck, sell cards, and eventually compete. You start with a character card, showing a personality and special ability. I was a heartless robot whose lack of human emotion made him a master player. There’s a “friendship” mechanism where you give tokens to sweeten trade deals. We didn’t get to that in either of my plays. You also get a starter deck, a few cards with some related tech and elements. Beyond that the box contains a massive block of cards. Besides the base cards there are several dozen distinct “booster sets”- packs of related cards. 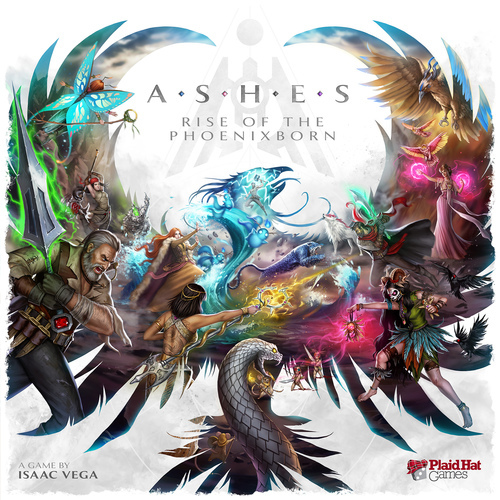 These parody existing CCG games and expansions (MTG, Yu-gi-oh, Pokemon) and various pop culture properties (Mouse Card, Symphony of Destruction, Galactic Caboose, etc). That makes it a huge, modular game like Legendary. 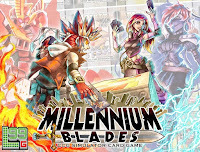 Millennium Blades has two distinct parts. First you deck build. You have some starting cards, you get a bunch more, and you can buy face down “booster packs” cards from the center. While you never know exactly what you’re getting, the backs have icons showing what’s more likely in those packs. You’re also selling your cards to a market and maybe buying other players’ cast offs. It’s a messy, chaotic, information-overload segment. It’s also timed: 7 minutes. Then you get more cards and do it again. Then you actually put your deck together. You’re trying to make a working deck even as other point scoring opportunities distract you. Then you flip your player board over and go to the other, completely different part of the game: the CCG tournament. Everyone plays cards into their tableau, scoring rank points, zapping other players’ cards, and causing weird effects. Order’s important as some effects work on adjacency or location. At the end you generate final rank points from your cards. The player with the highest gets total game VPs. Then you flip and do another round of deck building. Twice more. There’s a big argument about the importance of theme in board games. These designers have created an Ameritrash game of wild randomness. They know their CCGs—every card has a joke or reference on it. You even score points for your deck matching the “meta”. But there’s also strategy. Cards of different sets actually synergize together. In one game a player managed to get an actual “engine” going with cards that used tokens. It’s crazy. It’s so big. How would you playtest for balance? I guess the vast number of elements going in all directions do that. Here’s the big thing: I didn’t get tired of it as I played. You’re always doing something- first in parallel and then in semi-opposition. I thought it might drag, but the level of engagement required gives it energy. It’s a game I want to play more. 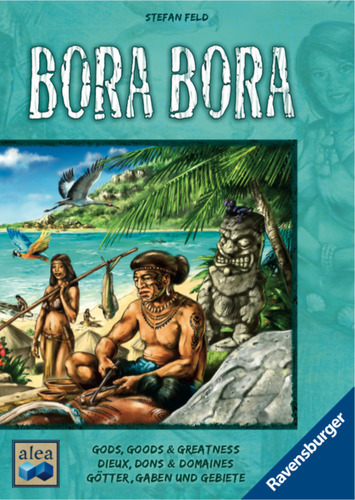 Bora Bora: I like many Stefan Feld games, though some find his designs polarizing. Notre Dame, In the Year of the Dragon, and Bruges click for me (though Castles of Burgandy doesn’t). I felt completely lost the first time I played Bora Bora, but I felt there might be some strategic core I was missing. Nope. Second showed me it the heart of this chaotic mess of a game. Goa: I’ve probably played Goa more than any other Eurogame, except for Carcassone. I loved it. I have an old, well-worn copy. Then when we played it this year it fell flat. I felt like I’d gone through these motions too many times before. I didn’t feel like I needed to ever play it again. A little sad. Among the Stars: Highly-regarded space-station building game. It uses drafting, which I like. I even bought the expansion. But each time I’ve played this, I’ve liked it a little less. It feels boring now. I’m not sure why. Yggdrasil: The first time I played this, I thought “what a wild and brutal co-op game!” The second time I thought ugh, this is just random bs. We barely have control. Even superior strategy can get blown away by the whims of fate. Super subject to the alpha player problem. Cryptomancer: What's Your Paladin's Password? Never underestimate the power of a good cover. That’s how Cryptomancer grabbed my attention. It looks strong and iconic, not messy and confusing. And then I saw the game’s simple, clear pitch line: fantasy hacking. Hacking what? I wanted to discover. In G+ discussions no one knew. Their curiosity hadn’t pushed them to pick it up. A first-time publisher and complex seeming character sheet worked against it. But I took the dive, and I’m glad I did. 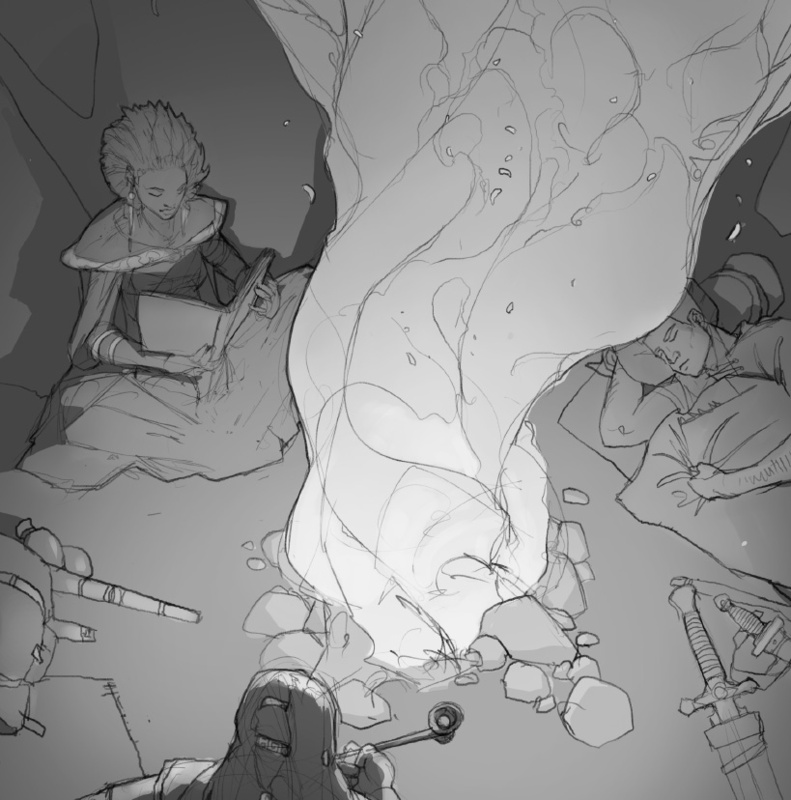 Cryptomancer’s a fantasy game about information security. It isn’t what I expected- it’s better than that. Rather than just abstracting hacking as a series of rolls, it makes the players work for their success. That could have been complicated, but it manage to simplify while providing a rich world that spins out of the magical advances it puts into play. My review’s based on reading and having run two session for The Gauntlet’s TGIT Hangouts. We recorded the sessions and you can see those here. Cryptomancer is an rpg about “hacking in a Tolkienesque high-fantasy setting”. In this world, magical developments have massively impacted how people live and how the powerful maintain control. It’s a setting rife with conflict and intrigue. It has some pretty important setting premises and details. You can’t approach it like any other fantasy game. Instead you have to know more about how the world works to make informated choices. 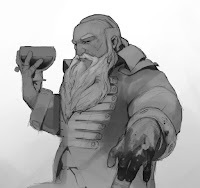 Dwarves “Warrior Architects”: Merchants, mechanics, and master cryptomancers responsible for the proliferation of the Shardscape. 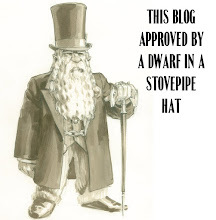 Dwarven clans leverage the Shardscape to coordinate guerilla warfare against waves of orcs threatening their underground strongholds, as well as participate in the intrigues of the surface world, playing human versus elf to their own advantage. Elves: “Sylvan Parasites”: Industrialists who decimate great forests to harvest soma, a highly-coveted and profitable commodity. Elven tribes leverage the Shardscape to manage their soma supply chains and control massive swaths of forest otherwise impossible to hold with their limited numbers. All three peoples are highly factionalized internally. To set this up, you first have to understand about The Risk Eaters. They’re a secret cabal of powerful mages who consider themselves the protectors of the realm. They want stability above all else. To do this they consult calculation engines to read fates. If something or someone has or will upset the balance, they deal with them via assassinations, market manipulations, puppet regimes, or levelling city-states. The PCs have been marked as a future threat. Why? Unknown. The Risk Eaters now hunt their steps, forcing them underground. They operate as a cell of agents on the run, acting against this oppressive regime. 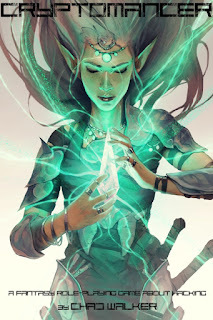 Two magical developments have connected this world: Cryptomancy and the Shards. Cryptomancy: Basically, anyone can encrypt a communication into a cipher with a keyphrase. That encrypted communication appears as “clear text” for anyone who has heard, read, or spoken that phrase in their lifetime. When this happens, the subject become aware of the keyphrase so they can pass it on. Everyone wants unique keyphrases to prevent others from decoding them. Alternately a person can encrypt using a True Name and Soul Key. Everyone has both, but the only the bearer can share their True Name. Soul Keys cannot be passed. When someone hears a communication encrypted with their True Name, it decrypts. The reverse holds true: something encrypted with a Soul Key can only be decrypted by someone who know the associated True Name. True Names are highly valuable then, but the more people who know it, the greater risk of it being mishandled. A Cryptomancer cannot magically encrypt an already encrypted communication. However, they can encrypt a conventional code. So an agent might encode a phrase that has a particular meaning for the recipient. Shards: Magical crystals into which users can project or receive communications. When they do so, they can send to or read from any other Shard cut from the same stone. These sets are called shardnets. This happens instantly and over any distance. Communications leave “echoes” which last a number of hours equal to the number of shards on the network. Bearers can use Cryptomancy with a shardnet, via thought rather than speaking. A shard must be held in hand to be used. This is an obvious and visible action. Secure shardnets usually have cryptoadmins who check and oversee communications. They may have several shardnets they coordinate. They may also bridge shardnets by holding two different shards. Sometimes they’ll have a keyphrase for particular networks. 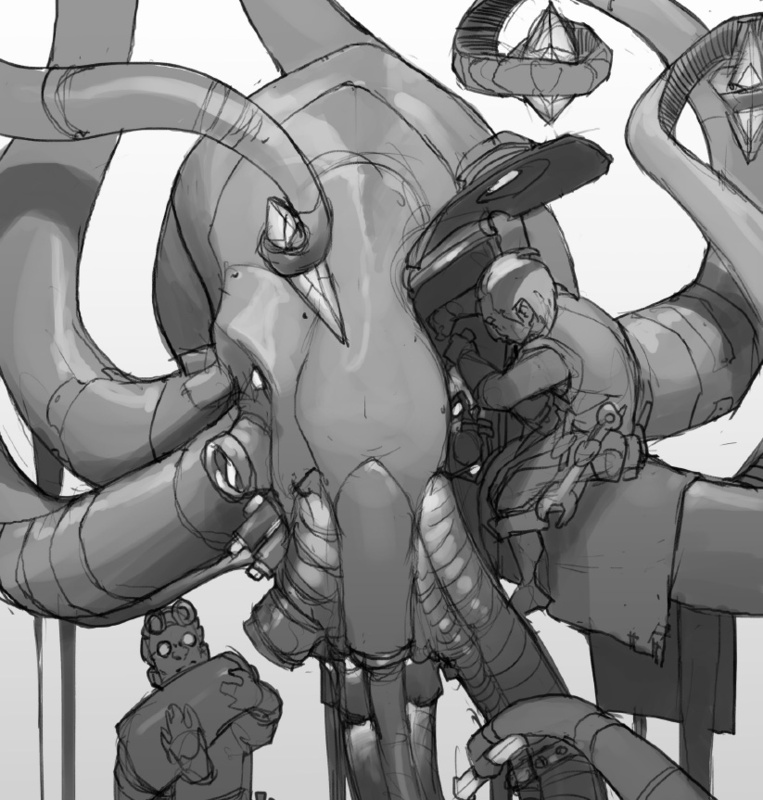 Massive constructed golems can be used to connect and administer shardnets. Cryptoadmins usually have a secret registry containing lists of valid users, schedules, and passphrases. Good cryptoadmins track any and all messages left in their shardnets. Couriers carry posts between locations, posting them on communal Message Boards. Encrypted messages can then be read by those in the know. True Name cryptosigniatures are often used to secure legal documents. There’s a massively accessible shardnet, simply called the Shardscape. It has so many fragments, echoes remain there insanely long. Searching through the echoes takes time. Characters always roll 5 dice for any test. They roll d10’s equal to their skill rating. Any remaining dice use d6’s (called fate dice). Any dice which meet or beat the difficulty number count as a success. A 6 on a fate die always counts as a success. Everything has one of three difficulties are: Trivial 4+, Challenging 6+, and Tough 8+. BUT then they must knock off successes for each “1” rolled on the d10’s or “1 or 2” on the fate d6 dice. These “botches” can hit hard. If characters get -2 or fewer successes, that’s a dramatic failure and horrible things happen. -1 success means they simply fail and 0 successes means a failure with a silver lining. If someone only gets 1 success, they do it but with complications. With 2 successes characters do it cleanly and with 3 or more awesome things happen. Players have two ways to deal with Botches. Some talents allow a character to ignore one or more for particular checks. They can also choose to ignore all the botches on the fate dice (the d6’s). If they do so, they increase the group’s Risk. I’ll come back to that. Six of the eight attributes have associated skills. Willpower and Endurance do not. They’re used for magic and health respectively. Skill is equal to the attribute it’s under. These don’t increase, but players can buy talents to make them better with these. Everyone can roll for any skill. The core stat has another big purpose. It sets the target number when someone tries to affect a character in that area. It’s clever, clear, and means you generally don’t roll opposed checks. When someone attacks, they roll against the difficulty of the target’s defense. On the character sheet, defenses are listed next to the core stats in the big circles (Take Cover, Dodge, Parry, Resist). A higher number is better. Cryptomancer has a novel way of handling initiative. Whoever says “I attack” goes first in a combat. That side goes, then the other. But once they say, “I attack,” they’re committed, even if it turns out to be a bad idea (like the person who emerged from the shadows actually came to help). Damage is # of success plus any bonus from the weapon. If a character takes 3 HP in a hit, they’re in bad shape and bleed 1 HP if they act and move in a turn (Critical). If they take 4 HP in a hit, they just bleed 1 HP per turn (Mortal). Consider that everyone has HP equal to their Endurance +5, so no less than 6 or more than 10. That means combat can be pretty lethal and fast. The system has a number of other combat tweaks. For example, sneak attacks add Stealth successes to damage. There are Grapple rules. But overall it doesn’t feel overwhelming. It helps that it takes a simple approach to things like weapons and equipment. These primarily have descriptors for color, but some also give a mechanical effect. But mostly they offer a nice hook for the fiction. Armor also has descriptors—the important ones are Light Deflection (ignore 1 HP wounds); Heavy Deflection (ignore 1 or 2 HP wounds); and Damage Reduction (reduce damage by 1). Talents cover conventional feats characters can use. The character sheet marks that out in an interesting way. A filled-in triangle beside a skill means the PC has an associated talent. It reminds the player to check that in their talent descriptions. Magic comes in three levels, measuring power and reach. Anyone can learn magic. Spells generally require a Willpower test. Spells cost MP. When you try out a game in with a one or two shot, you inevitably miss some portion of the rules or setting. 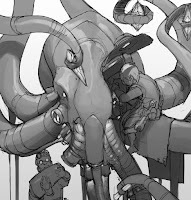 Cryptomancer contains a ton of long-term ideas and resources, concepts we didn’t get to the table in our session. 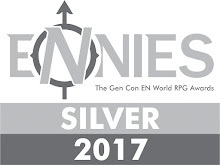 It’s built as a extended campaign with players making investments, developing resources, and digging themselves in deeper. Cryptomancer contains decent rules for handling “off screen” actions. Many of these focus on the creation side of things. Downtime’s roughly an eight-hour period, an important consideration when the group’s working against the clock. It has rules there for healing, learning, brewing potions, crafting items, developing social networks. Finally there’s “Following a Lead.” That’s represents research and recon, done with a single roll to gain a clue or piece of info. That’s an interesting move. It doesn’t mechanize the “legwork phase” of the game as much as The Sprawl does. But that downtime choice feels like a mechanic to handle players who don’t want to play things out and instead want to go to the dice. Alternately, you could read it as a “hit the streets” action (something we’ve seen in some PbtA games, including Worlds in Peril). Essentially a move for when the players feel like they’re stuck or directionless. That’s how the book presents it. Since this only gains players simple information, it suggests actually playing out the scene allows for more information. I’d have to think about how I want to handle that. The book suggests a minimum number of successes to gain info. I’m not as keen on that. I prefer a more GUMSHOE approach: key information given for the work, plus additional info for successes or additional costs for failures. Cryptomancer has a conventional advancement system. You can learn spells or add talents. “Narrative gaps” between campaigns can be used to raise attribute ranks. But jobs and challenges also pay off with strategic assets. The group can spend this to improve their organization. These can go to three things. Safe Houses: There’s a sheet for tracking the group’s safe house. By default it provides a secure location for the PCs. They can also improve that by adding new rooms and facilities: an alchemy lab, a cryptoadmin, a library, a training room and so on. They can also buy a “transfer” of the safehouse improvements if the team’s location or situation drastically shifts. Cells: The network of contacts and operatives the group can call on. These include scouts, agitators, cleaners, unlikely allies, and beyond. Players have to choose if they keep particular cells at a distance, making them deniable, or close, making them tied to the group. The latter approach gives the cell more skill dice to roll. Mounts: Useful transport for the group. I mentioned the Risk Eaters above. Even if the players aren’t directly facing these foes, their influence and authority hangs over the world. Risk is measured as a percentage, the chance that the Risk Eaters will find and dispatch operatives to deal with the group at that moment. Risk comes from badly handled operations: casually inflict violence, create attention, use poor security measures, ignore tradecraft practices. Any of these add to the group’s risk score. As well, the cost for ignoring botches on your Fate dice I mentioned above? Increasing your risk. I haven’t even gotten to the deeper world-building that takes the implications of the Shard and Cryptomantic technologies and runs with them. Or the large section on handling missions and how tradecraft worlds in a world like this. It’s a substantial core book. Premise: The concept of fantasy hacking excited me, but I also made me wary. I’d seen “hacking” done badly, essentially just a minigame of rolls. I’d also seen forced and thin net analogues. 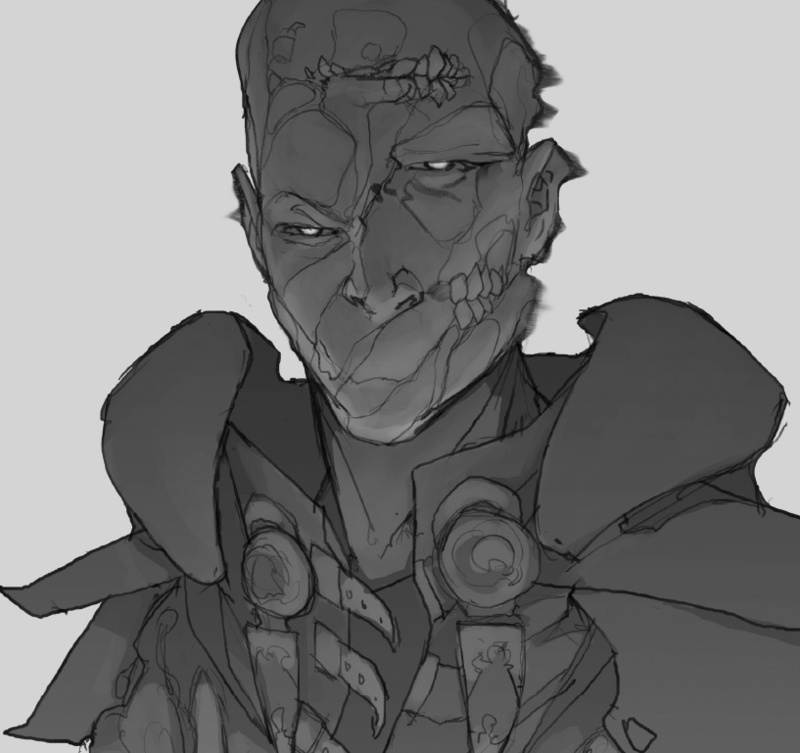 Cryptomancer cuts around that. It assumes a secure system. You don’t run the net. Instead you have to find the real world vulnerabilities, the gaps in the system’s armor, and the points of entry. And most often those will be people. InfoSec: The game’s about information security, but scaled down and presented in a way you can grasp. It makes Private Key/Public Key encryption ideas work with Elves. How crazy is that? It sets up cool ideas and blends with seamlessly with the setting. There’s a spell to “Encrypt” a doorway, creating a maze-barrier someone can’t pass through without the keyphrase. There’s so much more. Writing: The book’s solidly written and compelling. It has a clean and effective layout. The art’s good and consistent throughout. I liked the little bits of fiction and appreciated the organization. It’s a big book as well. Add to that a free 48-page expansion the designer’s put out. He could have easily charged for that, but instead he released it for early adopters. Mechanics: The system works. It’s fun and fast. Combat’s quick and deadly. It takes a page from Dungeon World and similar games: abstracting equipment with tags and offering slimmed down monster templates. As a GM you roll, a pool which can slow things a little. I rolled a table to results and burned through those for the NPCs. That sped things up. Background: It has a good and rich material for the GM. The tools support a long campaign, with players learning how to operate and developing their own styles. The Risk Eater backdrop gives a great hook right out of the gate. Basically I really dig this game, so the criticisms below are really minor. They’re more things to be aware of when you read the book. Character Sheet: The character sheet’s smartly designed, but on first glance looks hella complicated. It’s solid once you get a grip on the game. Be aware that it may be a little off-putting initially. Missed Rules: Because Cryptomancer isn’t like other systems I know, it took a bit to get a handle on. A few places bury rules. For example the mechanic for ignoring fate die botches isn’t in the resolution section. It’s tucked away in the part on Risk. Willpower’s used for most, if not all spellcasting checks. That’s mentioned in passing under Willpower in the skill list. But it isn’t discussed in the general section on spells. Instead each individual spell states you need to roll that. That worked against my speed prep for the game , I’d read the general magic rules, but had skipped all the specific spells. So when the question "what do you roll?" came up, I flopped through the book looking for a broad rule. So minor, but all of that’s to say that while it’s at heart a simple game, you’ll want to read through it a couple of times before you run. Backstory: This is a heavy world, but players need to have command of a ton of operational details: races, factions, cryptomancy procedures, shard systems, etc. A GM’s going to need to convey that to the players. In my group, and many others I know of, the GM’s the one buying books and occasionally the players. I wish the rules had one or two quick reference handouts for the setting. I pulled my own together, but even that misses important info. I don’t know the best solution to this problem. Death Spiral: The PC’s are doomed. They will generate risk and rise in threat level to the Risk Eaters. These foes will send more and more potent hunters. There’s no mechanism for reducing risk. The book makes a point of that and that the Risk Eaters are too big to be taken down. GMs will have to decide how they want to handle this frame and tone. Players should know the implications going into a campaign. Dungeoning: A couple of times Cryptomancer says it hasn’t forgotten about the hack & slash side of things. it hopes to handle the dungeon delving side equally well. But it’s a dangerous game: characters have a small HP pool and that won’t change much throughout the campaign. It’s closer to something like GURPS Fantasy for scale and lethality. Its approach to monsters and the like is closer to Dungeon World. That’s not a bad thing, but something you should know going in. A classic D&D dungeon might slaughter the party. Adventure: The book contains a sample adventure/campaign starter. If you plan on running it, take a long look at the pre-gens available at the back. The scenario presents the challenges without clear advice about solutions. That makes it more difficult for the GM to visualize and clarify things to the players. The PCs do have the resources to win- odd spells and talents to see them through. But until you really put the two things together it can feel very unclear. Production: The pdf lacks layers. Given that every page has illustrative grey sidebars, that’s a problem for printing. The core book’s giant, clocking in at 400+ pages, a good thing. While I like the printed copy, the paper’s a little thin. There’s some bleed-through for reading. As well the pages have started to do that “curl” that you get from lots of ink and lightweight paper. I should note that my hardcover came with the cover torn away from the spine. 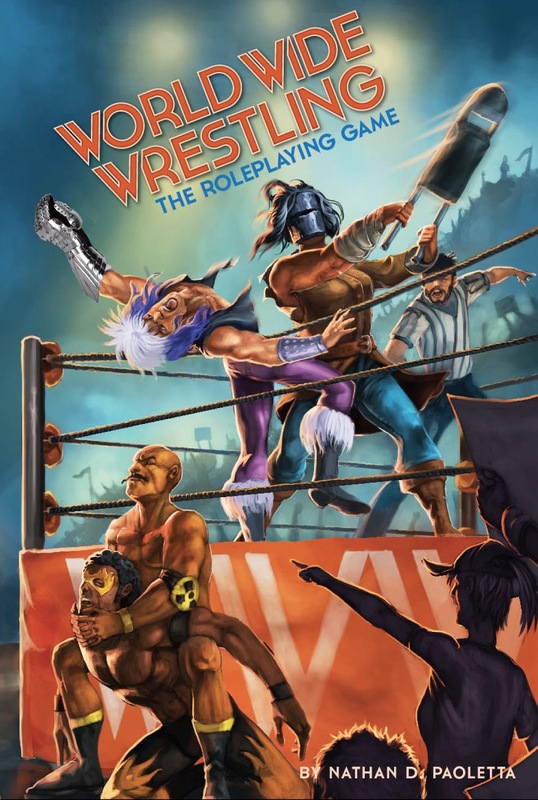 I only mention that to say how well and quickly DriveThruRPG responded to email about this. They offered a replacement or, if the damaged book was in usable shape, sending out a printed copy of another book I wanted. Class act! Cryptomancer’s a great game and one that came out of nowhere. I hadn’t seen much talk about it in my gaming feed. A search shows more discussion of it in connection with InfoSec than RPGs. For a first product, it’s amazingly well produced: smart, complete, and with strong choices about things like the art. It is a planning, investigation, and thinking rpg. That’s not everyone’s bag and it doesn't abstract that. But it’s also one that shows its real strength over time. I highly recommend it.